On this day in history, 25th May 1553, Lady Jane Grey, daughter of Henry Grey, Duke of Suffolk, and his wife, Frances Brandon, married Lord Guildford Dudley, at Durham Place, the London residence of Guildford’s father, John Dudley, Duke of Northumberland. It wasn’t the only wedding to take place that day at Durham Place. Jane’s sister, Lady Katherine Grey, married Lord Henry Herbert, son of the Earl of Pembroke, and Guildford’s twelve-year-old sister, Lady Catherine Dudley, married Lord Henry Hastings. Something I have never been sure about: Was this marriage wanted by Jane and Guildford or was this a power play by the Dudley’s and Grey’s? Many have speculated that young Jane and Guildford’s marriage was the stepping stone to Dudleys grasp for power, but as the article says there is no evidence other than that it was an arranged marriage between two close friends of noble families of the day, the sumptuous affair must have been colourful to behold with feasts and jousting, alas the young sickly King was too ill to attend, but it was a day of triumph for their families, but it was not to last, Janes blood along with several of the people who attended her wedding would be shed before in less than a year had passed, Lady Katherine Grey was said to be the beauty of the family and she was to go on to serve Elizabeth 1st and then make a rather unwise second marriage to the Earl of Hertford, and spending the rest of her life in captivity, Jane was a child prodigy and it was her parents who made sure she and her sisters had a good education, even the youngest the little humpbacked Mary received a good education, all three sisters were named in Henry V111’s will as next in line to the throne if Elizabeth should die without issue, Elizabeth treated them mostly with suspicion which was why she was so furious with Katherine for marrying the young eligible Edward Seymout, Earl of Hertford, likewise she mistrusted her other cousin across the channel, Mary of Scots and even more so when she arrived in Scotland, after her husband’s death, these contenders for the throne made Elizabeth uneasy all her life in case there were plots made in their name to oust her from the throne, for now it was a triple joyful may wedding though there must have been sinister undercurrents, what plots had Dudley made with Janes family in the months prior to this wedding between his son and Jane, Guildford was said to be his mothers favourite and he had been spoilt by her which made him grow up to be a petulant arrogant young man, no doubt both his parents had told him he would be crowned alongside Jane as King consort, but his feisty young wife threw a spanner in the works by declaring she would not have him crowned King, maybe a Duke but not King, he sulked at this and ran back to his mother who berated Jane, one can imagine the scene, Lady Dudley the mother in law from hell arguing with her young daughter in law, poor Jane had no wish to be queen she was a bookish student who loved nothing better than to study in quiet, but her royal blood meant that she was doomed, her father in law John Dudley the Duke of Northumberland was ambitious and the sort of person who went out to get what he wanted, a bully by nature he was unpopular but had a few friends, he was a son of the convicted traitor Dudley who was beheaded by Henry V111 to appease the people for the unlawful taxes he had imposed, his son was not to know it but his ambition was to lead him down the same path and he too, ended up on the scaffold, as the company laughed and danced and offered their congratulations to the newly weds, outside the fabulous setting of Durham house there must have been a slight chill in the soft may breeze, a portend of something to come…. Interesting that Leanne de Lisle believes that a third party, William Parr, Earl of Northampton was the person who had the idea of the wedding, but I really believe both Northumberland and Henry Grey, Duke of Suffolk jumped at the opportunity to manoeuvre themselves into the possibility of being the powers behind the throne. Jane should have made a dynastic marriage to another member of the aristocracy, not a mere commoner, even if he was some kind of distant cousin because she was a great granddaughter of Henry Vii and he was nothing but a self made political go getter. Her father was at least a descendant of Elizabeth Woodville who was at least a Queen Consort and whose kids had been ennobled. John Dudley was the son of one of the financial henchmen of Henry Vii, Edmund Dudley and was ambitious to do much better as his father was controversially executed for “treason” in 1510, although cooking the books and doing as he was told might be a better description. For two years he had worked to gain the support of the Council and become it’s main man. He was a close friend of Jane’s father and the families probably knew each other reasonably well. He was aware that the young King Edward vi would not last much longer and he could see his son married to a potential heir as highly advantageous. Once this marriage between his son, Guilford and Jane Grey was achieved he could then work on the King to put her on the throne. That is what he did, helped Edward to see the need for an alternative to his two sisters, who lawfully should come next. Whether or not the Devise for the Succession was the brainchild of John Dudley and the Greys is subject to much debate, although the family did have previous experience of plotting, but within weeks of this wedding he was in conference with Edward much of the time and had made strong allies of certain members of the Council including the Earl of Arundel. He may have suggested Jane as an alternative and Edward did the rest having said he couldn’t in all consciousness leave the country to Mary, a staunch Catholic or Elizabeth, both of whom he saw as illegitimate in any case. He had intended that any son born would inherit from Jane or her mother Francis’ s body but the former was unlikely and there was no time to wait on Jane. The Devise was altered to read “Lady Jane Dudley and her heirs male” so Jane was next, her mother, Lady Frances Grey, Duchess of Suffolk, niece to Henry Viii, who caused all this with his Will in the first place and his marital accidents, having been told to step aside. Jane was female, yes, not the best result, but so was everyone else now in line to succeed, but she was a very Evangelical Protestant and that swung it for her. Edward had only weeks to live, so this choice was sensible by his weighing of it. What advantage was it for a nobleman to marry Jane to Dudley? Well the men were friends and he knew John Dudley well but more important, he was the most powerful man in England, despite his humble and dubious roots. Northumberland was at this moment the real power behind the throne and political ambition meant he was the one to make it happen. Suffolk could see the advantage of being the ally through marriage and then blood of such a man. It was a political alliance for both families and one which could see his daughter crowned Queen. This was not a love match. This was purely political theatre and it is doubtful that either bride or bridegroom wanted or had any say in this matter. It was a typical marriage between two powerful families to make themselves even richer and even more powerful for the future. Jane and Guildford may or may not have known each other, there are colourful stories of Guildford and a brothel, but they were both about fifteen or sixteen, both of a typical age for such a marriage and although it was arranged, there is no reliable contemporary evidence that they were beaten and forced into it. The Church required consent and a forced marriage would have been invalid. They would, therefore, have met and agreed as dutiful children. Any discipline a moaning teenager received as Jane is meant to have done aged fourteen was also typical of the time and does not mean her parents didn’t love her or care about her wellbeing. We have to see sixteenth century strict parents as their contemporaries did, as doing what was in the best interests of their children, not through the modern ideas were children are spoilt and pampered (and on Kapol for everything). Jane and Guildford accepted their marriage and there is evidence that it was as successful as it could be, given the circumstances and short period they were together. There is evidence that they had a sexual relationship and that they developed some tolerance and fondness for each other. Both were radical in their religion and both seem to grow up very quickly with the sudden responsibility of marriage and then Queenship. They both shared good learning and so had something in common. Jane wasn’t prepared to make her husband King, which shows common sense, and, although they rowed over this, they appear to have reconciled and he was supporting her in her new role. She was certainly devastated when she saw his headless body being brought back for burial. I believe the marriage between Katherine Grey and Lord Hastings was never consummated due to her age and was later dissolved, leaving her free to marry for love and the tragedy of her later life. She ended up in the Tower for her own marriage to Edward Seymour, Earl of Hereford which she undertook without the permission of her cousin, Queen Elizabeth I. The couple ended up in the Tower, separated and yet still had two sons. After her release in ill Health Catherine died still young. Her sister Mary married a man far below her for love and he too was thrown into the Fleet Prison in London. She also died before her time. Elizabeth was mean as regards the young Mary but she saw a dynastic marriage between two of her cousins as a threat as their children could inherit the throne and Catherine was a rival for that throne. In 1563 Elizabeth almost died of smallpox and she really did fear that this family posed a threat as they had a lot of support. She hadn’t given her permission either and that could be seen as treason, so Elizabeth was not a happy bunny. From her point of view this was a sensible political decision, but history has condemned her because of the early and tragic death of Catherine Grey. Some people see her actions as merely being out of jealousy but perhaps there was more to it, that Catherine had acted wilfully and was audacious. This was the pattern of this semi Royal Tudor family, whose life blood owed much to similar activities of granny, Henry Viii’s sister, Mary Tudor who had the ultimate reaction to her arranged marriage to Louis Xii of France, by marriage to her childhood sweetheart, Charles Brandon, Duke of Suffolk, her brothers best mate. I don’t know if there was something in the blood or the wine, but there appears to have been a lot of clandestine marriage among Tudor cousins and nieces and their grandchildren. Arbella Stuart married one William Seymour for love/alliance and ended up being imprisoned. Although they both escaped, Arbella was captured and died in the Tower, aged 40 of what is believed to have been cancer and her refusal to eat and William escaped and remarried. As I said, something in the wine? The story of Arbella is very sad, I believe she was one of the children who met Mary Of Scots whilst the latter was in captivity at her grandmother’s house, the infamous Bess of Hardwicke who along with her husband were the custodians of the luckless Scottish queen, Arbellas story was to turn out as tragic as Mary, these claimants to the English throne must have found their royal blood more a curse than a gift, fiction novels often depict Jane as revelling against her parents, one I read years ago as a teenager, ‘A Crown In Darkness’ by Margaret Mallory shows her as opposing her marriage from the start and being beaten badly for it, but young girls of noble blood know from a young age their marriages are alliances and not love matches, her grandmother the beautiful Queen Mary of France made a hasty love match but she managed to get away with it, Jane complained to her tutor Roger Ascham that her parents criticised her continuously and subjected her to nips and slaps if she dared as much look the wrong way at them, but she was growing into a teenager with all the hormonal imbalances that wrecked havoc at that age, sulking tantrums and stubborn disobedience, was Jane a rebel? When she became queen in her brief time as ruler she had no trouble in asserting her authority and she was a Tudor, with maybe a fair share of wilful blood inherited from her grandmother and the Duke of Sussex to, maybe with Guildford there grew a fond attachment borne out of the unusual circumstances they found themselves in, she did lament her husband’s passing and it shows her strength of will that she dared to look on his headless body as the cart trundled past her window on his execution day, soon Jane was to become the third Queen of England to die on the scaffold and have the little church of St. Peter as her resting place, she was to go down in history as the tragic nine day queen although technically she reigned for thirteen, she was also the youngest queen to have her blood spilt on Tower green. I think most of the Tudor women were rebels or at least strong and feisty. It’s all that red hair and Celtic blood. I think I read in a recent biography that Jane had quite a strong personality and was high spirited, despite the myth of the passive, sombre, devout, almost Puritanical fourteen year old. She had been to court several times and would have danced just as every other growing young woman. I accept she might not have liked hunting and loved books more than anything, but the girl was around one of the most dazzling Courts in Europe, so of course she was influenced by the scenes around her and the fun. Anne Boleyn was also devout and modest and had the best parties in town. We don’t just fit into one box, we are many things. I can imagine Jane objecting at first and Lady Frances giving her a slap, but I doubt the legend that she was beaten black and blue. As a daughter who also respected her parents, evidenced by her letter and dedication in her prayer book from the Tower, Jane would have soon accepted their choice. If Guildford really was a fool, or acted like a yob I can understand her not being keen, but at least he wasn’t some old man, but her own age. He was also not going to be enthusiastic, his gambling and drinking days would be over, if he really was like this, but he seems to have stepped up to his responsibility very quickly. I feel some understanding and bond came out of their fate and the couple surprised everyone. I haven’t read Crown of Darkness, but I will give it a look. Cheers. I found the book very sad but enjoyable too, Queen Mary 1st was painted as a rather vindictive bitter woman which I didn’t really like and as for Janes parents well! Frances was a right harridan and her father a feckless loser, I’m sure they wernt really but it’s the authors perogative to write what she wants, I have to say I think for her young age having to face such a traumatic death she showed remarkable courage. I completely agree. 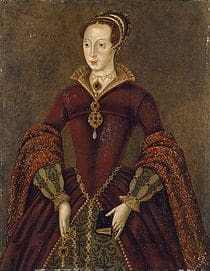 Jane was only young, just seventeen at the most and she was thrust into a central role as a Queen, the leader of a coup, although the real leaders were her father and Northumberland, a replacement for the woman who should have been Queen, Mary and she was unexpectedly chosen by her cousin, King Edward, to succeed him. She had to suddenly command men to protect her new crown, to send her uncle and father to quell what she now believed to be the growing rebellion by Mary, who was gaining support, she had to take charge of the Tower, which she did so by taking the keys and locking everyone in and then, when it was all over, she and her equally young husband had to face judgement. For some time there was hope of a pardon but in the end they found themselves condemned. Her last few days and last hours show much resolve and much courage and her faith was resolute. She had a visit from the Queen’s chaplain who debated with her but concluded her faith was so pure he had no chance. Instead he befriended her and stayed with her at the end. Jane was very brave, considering the terrible death she faced and she had just seen her husband’s body. I think it was a real tragedy that this young but very intelligent young woman lost her life before her true potential had begun to be realised. Yes her faith meant so much to her and the fact she was willing to die rather than renounce it shows a rare courage that only people like Anne Askew had possessed, what I find so poignant is the scene where her father comes to tell her Mary was acknowledged as Queen and Jane asks if they can all go home now, it’s the sort of question a young girl asked her parents after she has had a bit of an ordeal and home represents security love and familiarity, I believe she was thankful it was all over and was looking forward to sleeping in her own bed with her beloved books but it was not to be, she had done a treasonous thing in the eyes of Mary and her supporters, yet this is something which historians debate about today, how had she committed treason when it was the late King who had named her as his heir? Were Edwards councillors saying that his last drawn up and signed will meant nothing, he had been rightful sovereign of England but many argued that it had not gone through parliament, and this is where Dudley had had a hand in it, eager to seize the highest authority in the land he had ruthlessly used two young people in order to attain it, today if a person or persons has been seen to have coerced someone in writing a will, that document is rendered invalid, but 16thc law regarding the act of succession meant that it had to be approved by parliament and Edward had gone against his fathers wishes, also the council knew the young king was very sick and Dudley was his chief adviser, both die hard Protestants he convinced Edward to leave the throne to catholic Mary would be a disaster, Edward quite possibly being a very bright child had considered this himself but with Dudley cajoling and wheedling him with grim prophecies of fire and brimstone, lying in his bed growing weaker and weaker, it would not have been too hard to convince him that it was the best for England to cut Mary out of his will, also his council had sworn allegiance to Jane maybe bullied into it a little by Dudley, I do not believe they were very happy with it and soon deserted Jane when the country fled behind Mary, although Mary meant to pardon Jane and her husband having the foresight to know it was Dudley who was behind the failed coup, the rebellion by Wyatt and her father sealed her fate and Spain was pressuring her to execute this young troublemaker, her intended King Philip would not sail to England till she was dead, thus Jane became like a lamb to the slaughter, It must have been awful for Mary who as you mention sent her chaplain to try to convince Jane to change to Catholiscm, desperately she tried to spare her life but Jane was as devout a Protestant as Mary was Catholic, the old learned man struck up a close friendship with this young firebrand of a girl and he could not fail to be impressed by her courage her intelligence and her ardent devotion to her faith, I believe he was with her at her death and he must have been among many that day who shed plenty of tears for the unecessary loss of a young life, a life that yes had shown such promise all because of a man’s ambition for the glittering sense of power. I think Mary saw her young cousin, Jane as an innocent, being used by her father and Dudley and the Council also got a sharp lecture in her letter to them. The Council soon changed sides when they heard that Mary was gaining support in East Anglia where she was based at Framlington Castle and that the navy had gone over to her, which was a huge blow to Northumberland who thought he had her surrounded because now Mary had the fire power and a means of escape. Within a few days local gentlemen had also gone over and Mary was really pulling in support from everyone. Yes, the fact that Mary was the daughter of Henry Viii was recognised by the rank and file and the Council were not stupid, they knew the real score. Edward did have the right to name his own successor but by Act of Parliament Mary and Elizabeth were next, just as they were in the natural order of succession, and, as you say, the Devise had not yet been approved by Parliament so it remained unlawful. Ives believed that Jane was the rightful monarch, but forgot Parliament had not yet confirmed Edward’s Will, even if the Judges had. He didn’t even have the support of the Three Estates of the Realm. The Council seem to have felt bullied and Jane had to lock them inside the Tower and take the keys to prevent them leaving to change sides to Mary. It is this as well as the documents she signed as Jane the Queen which were used as evidence of treason. However, it is debatable as to whether Jane could be held to be a traitor, especially as she wasn’t the leader of the coup, her father in law was. I don’t believe she was guilty of treason but maybe something less serious and although she exercised power as Queen she was playing a role. She lay down that role when it was all over. I also believe Mary was genuinely ready to pardon Jane and Guildford, until her father, already pardoned once sided with Thomas Wyatt to kill Mary, oppose her marriage to Philip and put Elizabeth on the throne. As a Protestant idle Jane would always be a threat, that was how Spain saw things and it was probably true, she could be used again. However, she was only guilty of treason in that Mary won and regarded herself as the true Queen and the actions of authority could be attributed to Jane because they bore her name. I don’t think she was a mere pawn but she was very far from being a willing traitor, especially as Edward had named her as his successor. The pressure came from Spain to secure the throne and country and security was an issue. In the end Mary had to take a political decision to secure the alliance she desired with Philip of Spain. I doubt it was easy and Mary was reluctant. ( A Catholic cousin of course could not be used by the die hard Protestant factions in the country as a figure head so trying to convert her made sense). Jane wasn’t a Protestant martyr, but she was portrayed as such by Fox and others and as a tragic romantic heroine by the Victorians. In reality she was a devout young woman of the reformed faith who found herself the chosen Queen by those at Court who feared Mary’s reign and she accepted it as such. She was as devoted to her faith as Mary was to hers and Father Freckenham respected her choice. While conversion would have saved her life, she wasn’t executed because of her faith, but because of her perceived role in displacement of the rightful Monarch. While Mary obviously wanted to save Jane if she could, it was argued that Jane had willingly given orders to send an army to prevent her from taking the crown and so on, thus she must be condemned as a traitor and the second rebellion unfortunately sealed her fate as it worried the crown that she most certainly could be used again and displace Mary yet again. It was probably also pointed out that had Jane won, the same fate might well have befallen Mary. Bruno – welcome back into the fold, how we have missed your Gallic charm ! Hi Bruno, long time no see. Thanks for that, glad you enjoy our posts. Nice to hear from you again. Hello B.Q and Christine. There is a photo of the name ‘Jane’ carved in a cell wall at the Tower of London attributed to Guildford. Do either of you know where in the tower this is located? According to various sites this and the elaborate carving which is dedicated to all of the Dudley brothers and their father are in the Beauchamp Tower, where they were held. Jane would have been in the president part of the Tower, as per her status, although not in the Royal Apartments, as she was no longer a Queen, but it could well have been carved by Guildford. The Bear and Staff and emblems for each son, such as gillyflowers for Guildford is more likely a memorial done afterwards. It is well carved and the detail is fabulous. Here is a web link. Yes I believe it’s in the Beauchamp Tower I read of that many years ago. Thanks for that link. The majority of those images I was not familiar with. I really enjoyed all the photos. Seeing the various carvings in the tower makes the horrors of what went on there very real. Thank you. Yes, according to various sites this and the memorial to all of the Dudley brothers and their father are in the Beauchamp Tower. Due to her status Jane would have been kept in the resistance of the Tower, although not the Royal Apartments. The carving is a bear and staff and has emblematic symbols for the four sons. Thank you very much for that info B.Q. Very welcome, Michael. Sorry for double post but my Kindle was having a very slow night due to thunderstorms. I have read the link to Claire’s posting and the detail is wonderful.